‡ Scott states that Sc5 and Sc6 were not issued, although some are known cancelled. Gibbons does not list them. 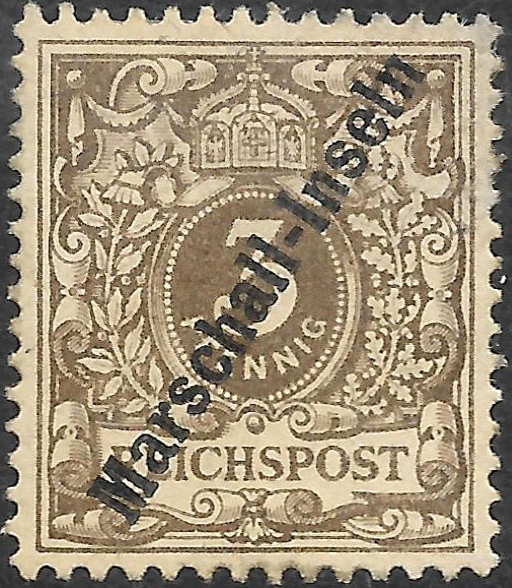 § A second set of the same values was issued in 1899-1900 overprinted “Marshall-Inseln”, i.e. without the "c". A group of islands in the Pacific Ocean. They became a German protectorate in 1885, then were under Japanese control from 1920 until 1947 when they became a United States Trust Territory. 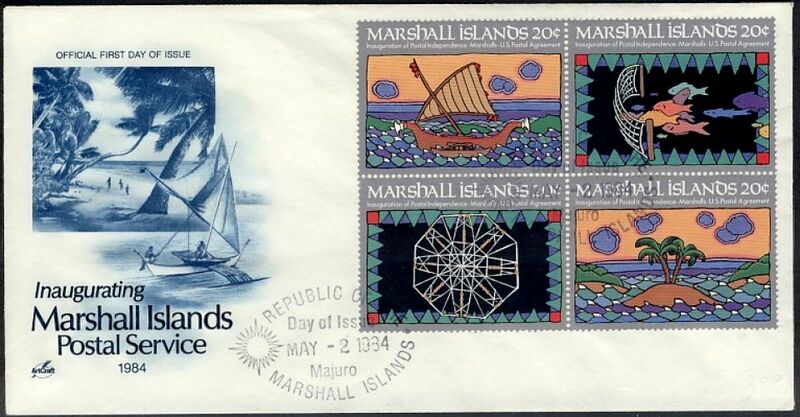 They began to issue their own stamps in 1984. Sources: ScS , SGP7 .